How to obtain a sweet new Pikachu in Sun and Moon! Hey guys! I just discovered this the other day and wanted to share! It ends on Monday at 11:59 UTC (You’ll have to use a converter for your specific time zone. I know I have European readers too.) I believe that it is 7:59PM Eastern if that helps. You’ll need to load your Sun and/or Moon game. Go to mystery gift and hit receive gift. Select get with password and connect to the internet. Enter PIKACHU20. Speak to the delivery person in the Pokemon Center like any other gift and enjoy your new Pikachu. For those of you interested Pikachu will be Male Lv. 19 with a Hardy Nature and Static for an ability. His moves are Thunderbolt, Quick Attack, Iron Tail, and Electro Ball. I hope you all are able to get him in time! Look forward to more Pokemon for a very special Pokemon Halloween Week! Okay. Not that Lord of the Golems, but hey. A boy can dream! Clay Lord is written and drawn by Jun Suzumoto. It began it’s publication back in 2013 before coming stateside a few years later. It is published through Seven Seas Entertainment, at least here the States. Spoilers: Just spoilers for the first issue and not the overall manga. Plot: The plot is fairly unique from what I’ve seen. People began making golems out of dirt, clay, mud, and tools. The main character, Young Master Clay, is special. He carries with him a very exceptional and potent bloodline. It allows him to make very awesome golems with little resources. The roles of the golems have evolved over time. Some put in manual labor while others offer companionship. The overall plot of the manga takes some time to eventually build up. Clay is the last decedent of the Earthgaia bloodline. His blood is worth more than gold. A character even goes as far as to call it an elixir. Clay is stolen by a black market dealer. However, the plot moving forward is a little up in the air since the conflict has been resolved and the story is currently in a flashback. Character: We will be going over Clay while lumping his three golem companions together. Clay- Clay is pretty interesting. He is babied and protected by his golems. I have a mother who can be this way at times, so his reactions fit mine sometimes. That’s an aspect I think readers can relate to. There’s a scene where Clay mentions being tired, so the golems break down the door carrying the bed over their heads. As I said earlier, thanks to his blood he makes some super cool golems already! Clay was abandoned in life early. His two older brothers (and that’s the only family we hear about) die while Clay is still a child. For him, these golems are his only family. Even though they drive him up the wall, he loves them because they are the only family he’s ever know. Speaking of the golems, I suppose its time to introduce them! Kurogane, Shirogane, and Rose- We will start with Kurogane. Kurogane is the one on the right hand side that looks like a psychopath. He is loyal, determined, and pretty ruthless. He is the handyman who isnt afraid to get his hands dirty (Golem puns!). He adds a nice dynamic that I enjoy. If you like a psycho muscle man who is funny, you will like him forsure. Shirogane is basically the polar opposite in that he is not violent. Shirogane is like your parent who is determined to help you out (cook, clean, and like I said bring your bed to you! ), while Kurogane is like your parent going off the deep end. Shirogane adds a nice loving touch which is appreciated in these styles of manga. Lastly, Rose- I could not find any pictures of just Rose, so refer back to previous group photos. She cannot speak, yet she has the power to exude calmness. She presents a stare that emits a clarity so commandingthe others cannot help but feel confident. She is also powerful, loyal and not someone you’d want to mess with. It may be easy to overlook her, but she’s the glue(dirt?) that holds the gang together. World: The world is not too fleshed out, but I also do not know how in detailed it will get. They cover the golem makers and describe the unique relationship present between molder and golem. There’s also a black market. Not sure if that will come up again, but it is there. Action: There is action, but it is not the driving point. Romance: No. I don’t think Clay is into that kind of… stuff. Plot: Still developing, but has potential. Characters: To me, this is the selling point. If you like the potential of the described characters, I’d pick it up. The World: Still relatively unexplored, but enough to get your interest. Humor: Yes. It is funny. Verdict: Displaying that you have potential is both a blessing and a curse. It definitely has me wanting more, but in the same take I don’t feel like I read enough to judge it. Score: 7.5 out of 10. Clay Lord was very enjoyable. I bought it for 4 dollars! A manga for 4 U.S. dollars is a steal. One of my local stores has more and they are on sale as well so I will definitely be picking up more issues and reviewing more of it later. If it keeps building on the momentum it will definitely be worth it. Stay connected through my twitter and youtube (Both Dahubbz) for more content. and do not forget to follow my blog if you do not already. 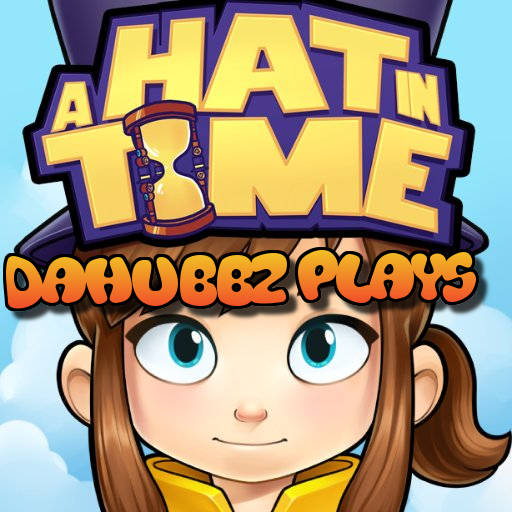 Let’s Talk: A Hat in Time! Hey guys A Hat in Time came out yesterday. I will be doing a review once I finish the game. If you do not feel like waiting and you’re on the fence with the game. You can go over to my Youtube channel and watch my Let’s Play. I’m two episodes in and I upload often. Anyway, follow the blog so you know when I post my full review. I’m hoping to bring other reviews back soon (Mangas, Animes, Games, and Top Fives).